Canadian Broadcaster, Chief Correspondent for Cbc News And Anchor of The National. Over the past 20 years in Canada, one person has been viewed by more Canadians than any other person, and it’s not a queen, prime minister or even Wayne Gretzky or Drake. It’s Peter Mansbridge, anchor of CBC’s The National since 1988. Do the math. The National draws an average of three million viewers per week. Multiplied by 20 years, that’s more than 30 billion sets of eyes who have tuned in over the past 20 years to watch Peter Mansbridge. 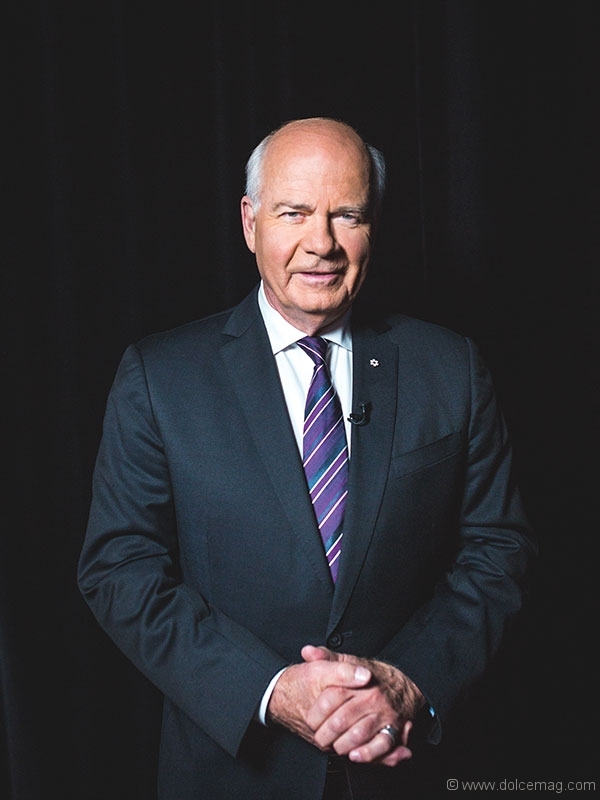 Most notably, it is Mansbridge that Canadians immediately turn to as the credible, authoritative voice of big news, making him an influential national changemaker these past two decades. Not a bad legacy for a guy discovered making flight announcements at age 19 in Churchill, Man., which caught the ear of a CBC executive. Lana Turner sitting at a diner counter in Hollywood has nothing on that story. But in the ever-evolving world of technology, perhaps the advancements in communications are the most radical, touchable and visible — and Peter Mansbridge, as Canada’s foremost communicator, is seeing it firsthand and can provide us with the most intelligent insight. This is indeed an incredible time in technology, and specifically communications, and Mansbridge welcomes it. 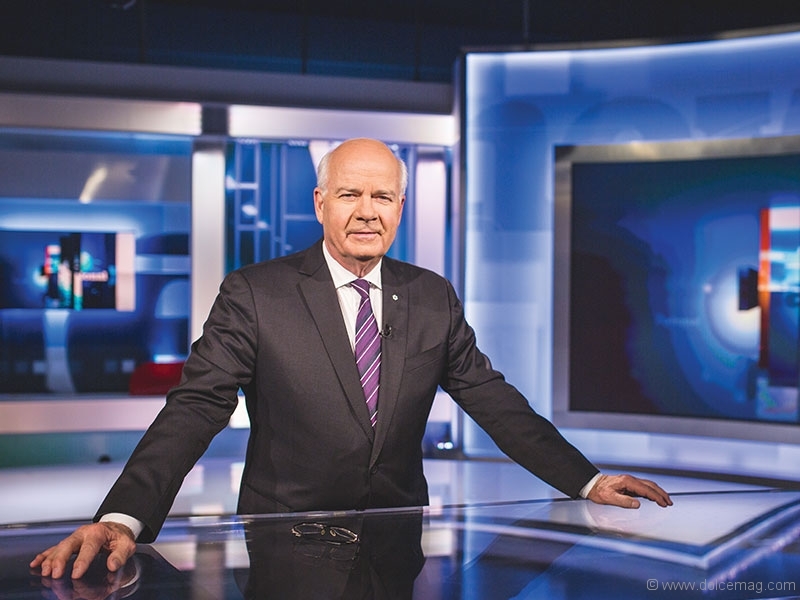 Mansbridge takes a very personal look back at his career when asked by Dolce, a particularly reflective time for him as it has been announced he will retire following his coverage of Canada’s 150th anniversary on July 1, 2017. 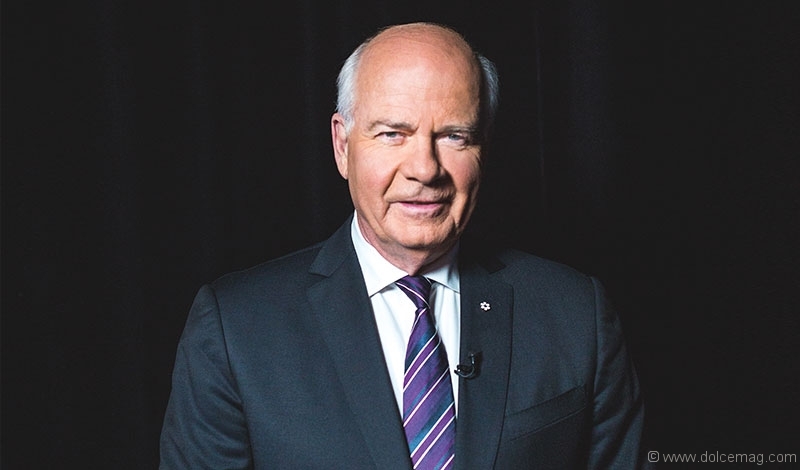 Born in London, England, in 1948 and moving to Ottawa as a child, Mansbridge joined the CBC in 1975 as the network’s Saskatchewan correspondent for The National, eventually relocating back to Ottawa in 1976 as a parliamentary reporter. Following a decade of political coverage, he became the substitute anchor for Knowlton Nash and was so valued by the CBC that Nash retired as anchor to keep any American network from stealing Mansbridge. He debuted as the sole anchor of The National on May 1, 1988. When asked by Dolce what he has learned that he wished he knew 20 years ago, Mansbridge doesn’t hesitate in pointing to technology and the sheer pace of change. As he moves on to the next phase of his life, Mansbridge retains his sense of optimism and embraces the challenges before him. And as always, he will remain a communicator.